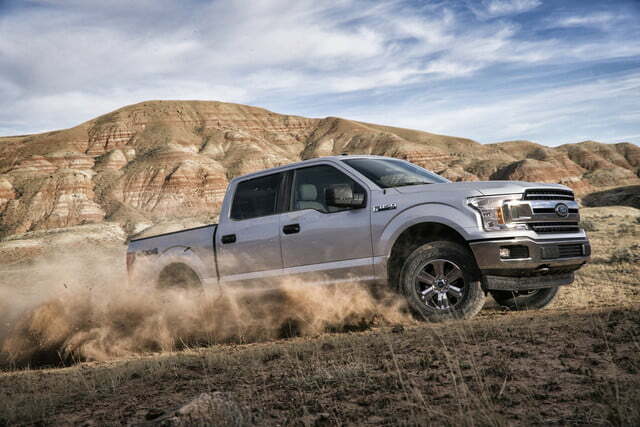 With its aluminum body, increased reliance on downsized EcoBoost engines, and extensive tech options, the current-generation Ford F-150 marked a dramatic departure from its predecessor when it debuted three years ago. 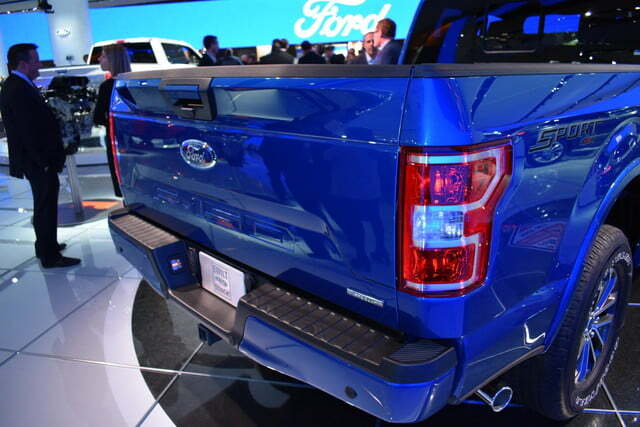 But Ford isn’t done tweaking its best-selling truck. 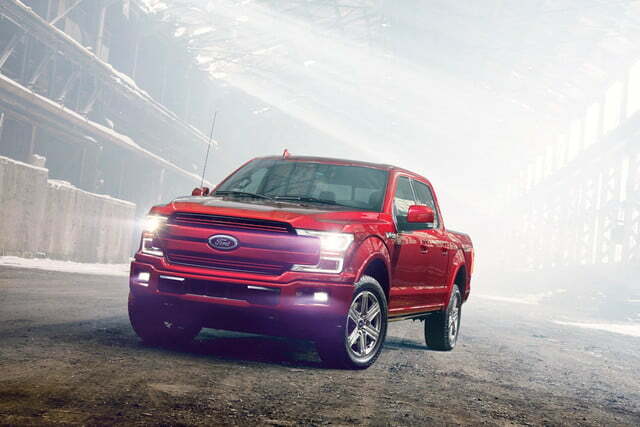 Debuting at the 2017 Detroit Auto Show, the 2018 Ford F-150 features a first-ever diesel engine, more tech, and a greater emphasis on fuel efficiency. The changes are mostly under the skin. 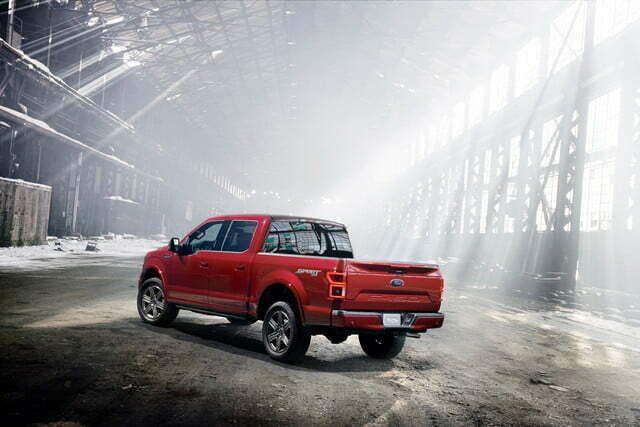 Aside from a different grille and a new tailgate and taillights, the 2018 F-150 looks pretty much the same as the 2017 model. 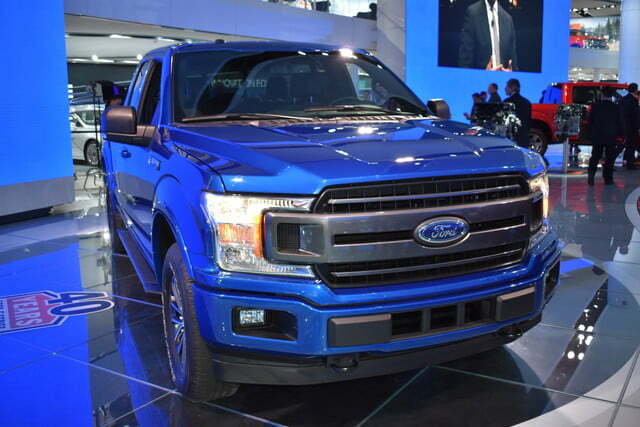 As before, the F-150 uses aluminum for its cab, bed, hood, and body panels, with a steel frame underneath. 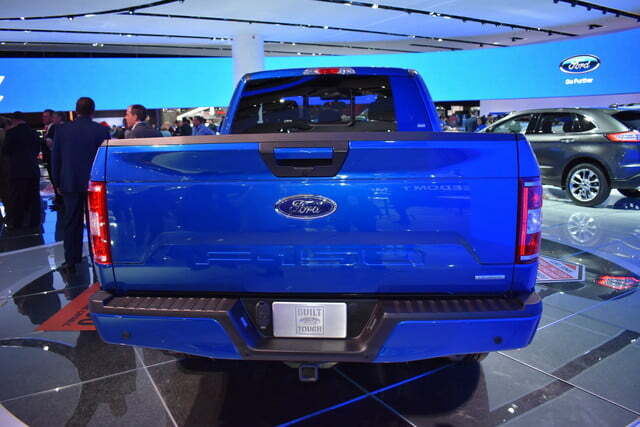 Extensive use of aluminum helps save weight, which in turn improves fuel economy. 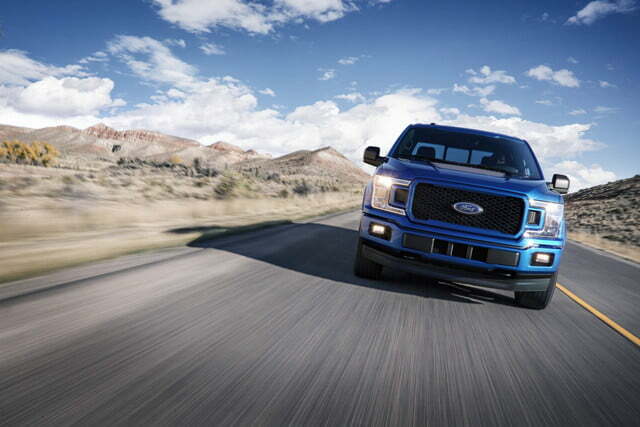 Also aimed at improving fuel economy is the new 3.0-liter Power Stroke diesel engine, the first of its kind in an F-150. A new 3.3-liter V6 replaces the current 3.5-liter V6 in base models, and is expected to make the same 282 horsepower and 253 pound-feet of torque as that engine, but with higher efficiency. 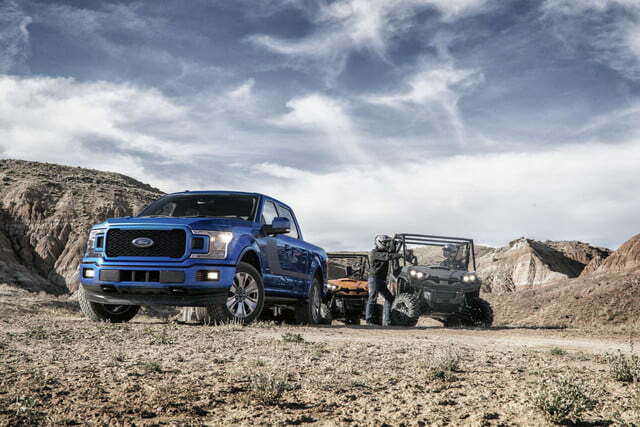 The two new engines join the carryover 5.0-liter V8 and 3.5-liter twin-turbocharged EcoBoost V6, and an updated version of the existing 2.7-liter turbocharged EcoBoost V6. 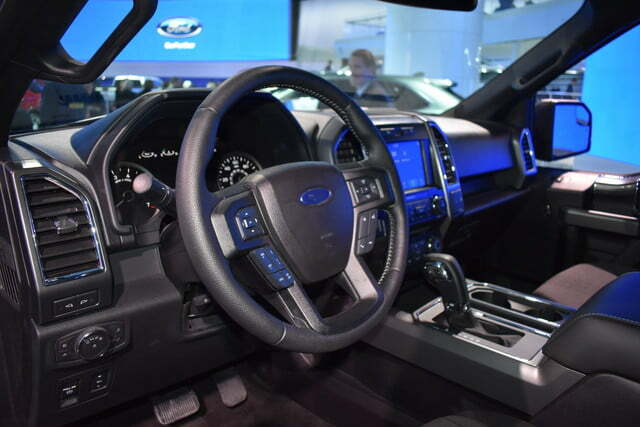 All engines except the 3.3-liter V6 will be offered with the 10-speed automatic transmission co-developed by Ford and General Motors. 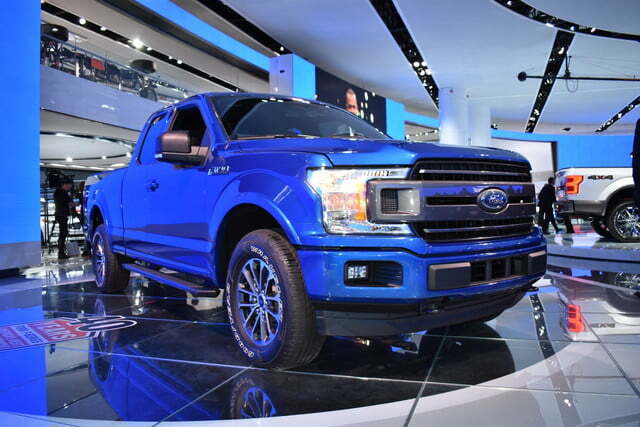 The 10-speed was introduced for the 2017 model year, but was only available with the 3.5-liter EcoBoost V6. 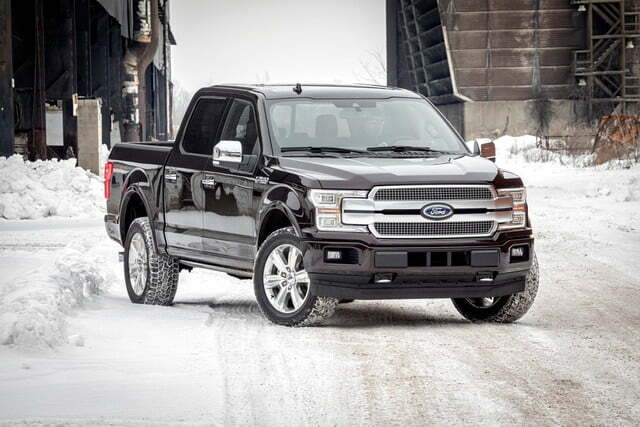 All 2018 F-150 powertrains also get engine stop/start as standard. 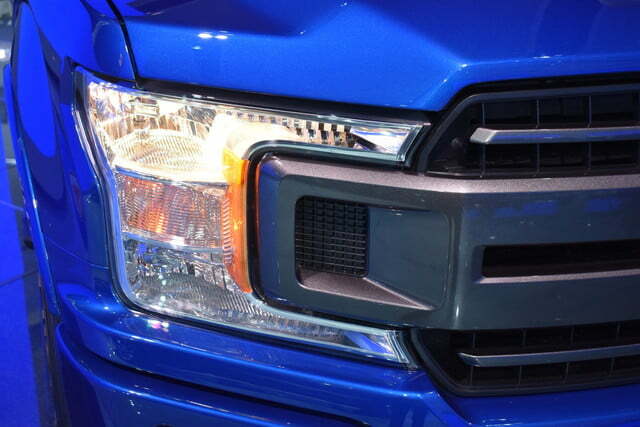 It shuts down the engine while the truck is stationary, again, to improve fuel efficiency. 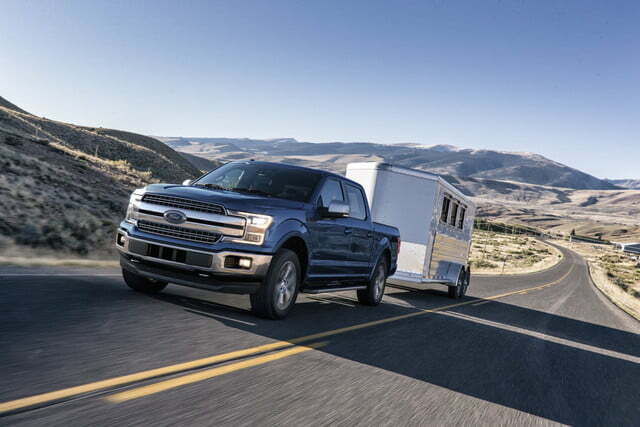 On the tech front, the F-150’s adaptive cruise control system now features stop-and-go functionality for dense traffic, and a pre-collision system with pedestrian detection is now available as well. 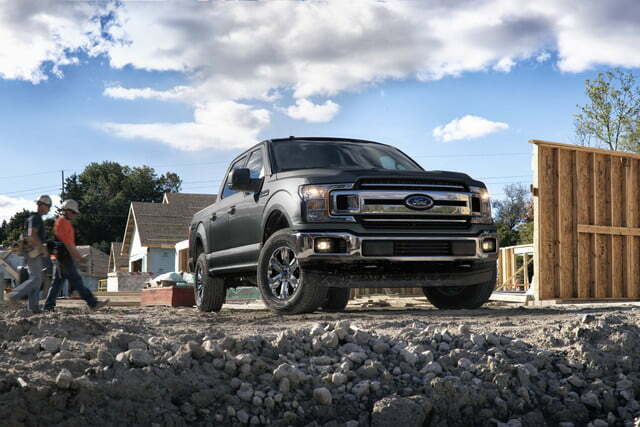 The 2018 F-150 also gets an optional 4G LTE modem, with a built-in Wi-Fi hot spot that can handle up to 10 devices. A high-end audio system from B&O Play is also on the menu, the product of a collaboration between Ford and B&O Play announced last year. 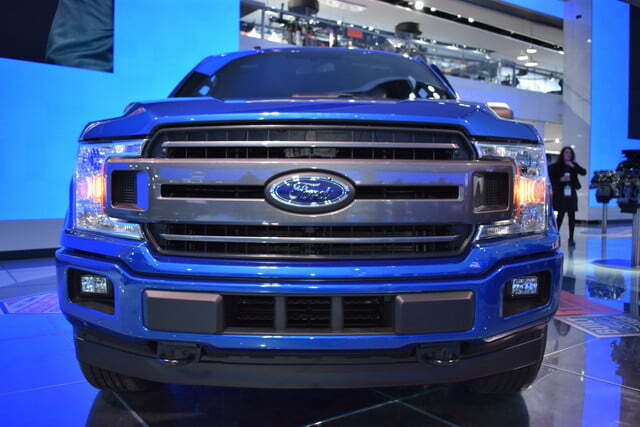 The 2018 Ford F-150 goes on sale this fall, and Ford has at least one more major update planned after that. 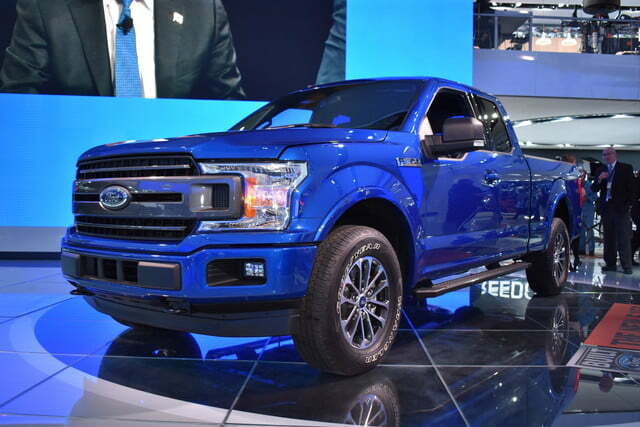 An F-150 hybrid is currently under development, one of 13 new electrified vehicles Ford plans to launch over the next few years.